Are you aiming for an MBA degree? Looking for a career in business? MBA is the most sought after post graduate degree program. It is the only program which welcomes everyone whether he/she belongs to science, commerce or arts stream. The first step towards getting into an MBA program from the top colleges in country is to crack the CAT (Common Admission Test). 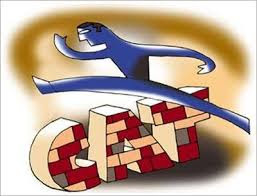 The Common Admission Test (CAT) is an All-India test conducted by the Indian Institutes of Management (IIMs) as an entrance exam for the management programmes of its twenty Business schools. Check out the full syllabus. For getting a call from good MBA colleges, applicant should score a minimum of 90 percentile in the CAT exam. The top aspirants are then called for a Group Discussion and a Personal Interview from the MBA colleges. Clearing them will earn you an admission offer. How to get a high percentile in CAT? First things first, you need to get a very high percentile in the CAT exam. It seems very difficult but with careful planning and preparation one can achieve it. Decide how much you want to earn in percentile and how much time you have to achieve this. To prepare a good plan you need to know where you stand currently. Although, all sections are important on the test, you will clearly find some sections easier than other. It may also differ from your friends so know about yourself first. For subject where you feel difficulty make sure with your preparation you are making separate notes on important tips. Remember, your tips i.e. the way you approach a question may be different from others and still be right. It is important to have a study plan, i.e. to first get the basic understanding of all the topics, then do a revision and master each and every topic (focusing on the most important first). Once you have a plan, do as much practice as you can. While practicing make a strategy for each type question you are solving. Remember, "Practice makes a person perfect". You must do a daily practice of at least 30 minutes even when you a busy day. 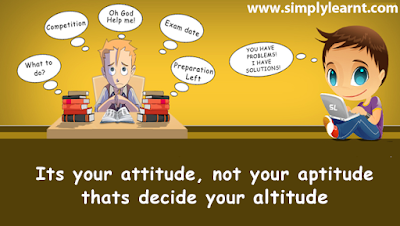 Choose the right preparation partner - SimplyLearnt! If you are looking the right preparation material, choose SimplyLearnt. It is online, available 24x7 on desktop and mobile devices, hence you can prepare anytime anywhere. Experts resolve all your doubts as many as you ask them. Complete study material with fully solved question bank with notes and tips tricks are provided. Above all it is affordable as well.